Behind the Arduino Due Programming port there is an AVR microcontroller (ATmega16U2) which converts the USB signals coming from the computer to the first serial port of the SAM3X. In this tutorial you will update the ATmega16U2 firmware using an Arduino Uno or Mega as an AVR-ISP (in-system programmer). 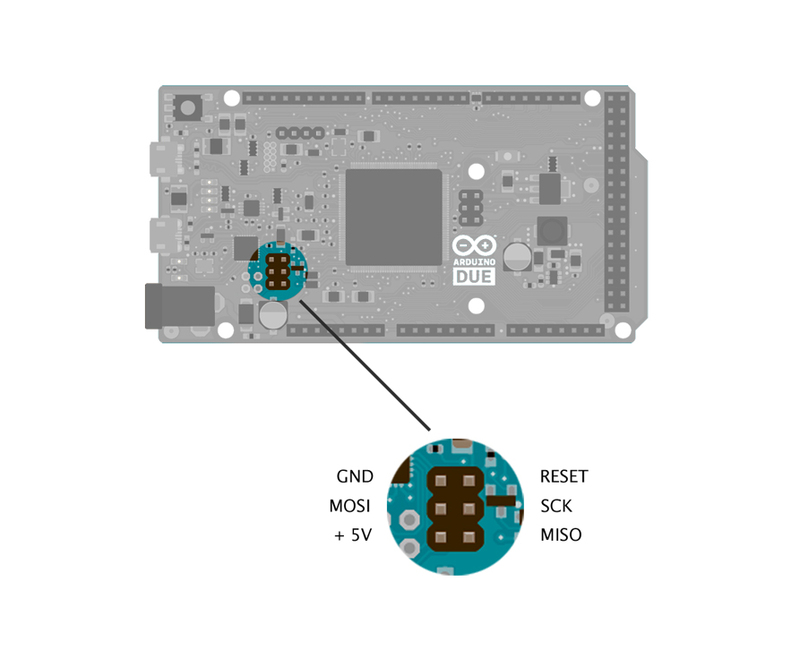 To use your Arduino board to burn a bootloader onto an AVR, you need to follow a few simple steps. Open the ArduinoISP sketch (in Examples) in the Arduino IDE. Select the items in the Tools > Board and Serial Port menus that correspond to the board you are using as the programmer (not the board being programmed). Connect a 10uF (micro Farad) capacitor between the GND and RESET pin. The firmware to upload on the 16U2 is in a binary format that has the .hex extension. First thing to do is to go to the directory that contains the avrdude tools that comes with the IDE. For doing that open a command prompt window clicking on Start and typing cmd then press enter.